The 2018 iPad Pro models were unveiled in the fall but so far there have been few keyboard cases released by well-known companies. That’s starting to change, with Apple, Brydge, and now Zagg getting in the game. Zagg has produced Slim Book versions for earlier iPad models, and is now updating this product line for the newest 11- and 12.9-inch iPad Pro. 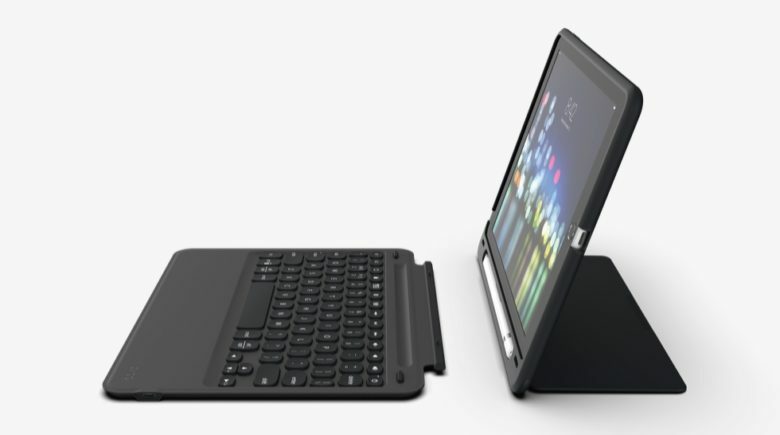 The design consists of a protective case for the tablet as well as a removable keyboard that can close over the computer’s display. A kickstand holds up the iPad at a variety of angles. Highlights include backlit keys on the keyboard as well as a holder for the Apple Pencil. The ZAGG Slim Book Go will launch this spring for the 11-inch iPad Pro ($99.99) and 12.9-inch iPad Pro ($129.99). A version is available today for the 9.7-inch iPad ($99.99). The Slim Book Go is for home, office and classroom, but the Rugged Book Pro is designed for harsher conditions. The two keyboard cases have the same basic design and include the same clip-on keyboard and Apple Pencil holder, but the ruggedized version is wrapped in TPU and can survive drops from up to 6.6 feet. The Zagg Rugged Book Go will be available this spring only for the 11-inch iPad Pro. It will come in at $149.99. The more lightweight option announced today is the Messenger Folio. It’s also intended to be a touch more stylish. 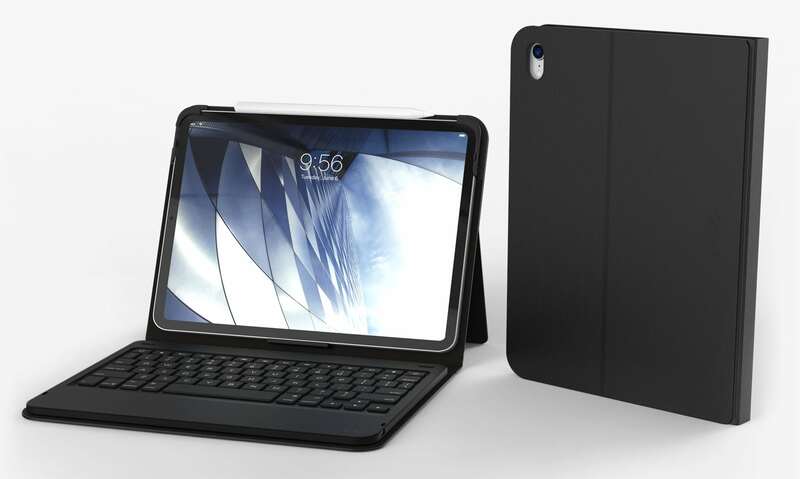 The Zagg Messenger Folio is a lightweight keyboard case for the 2018 iPad Pro. Unlike the other two models, its keyboard is not removable from the protective case. The case does have a kickstand, though. And it’s the only one unveiled today by Zagg that’s wrapped in cloth. The ZAGG Messenger Folio will be available in February only for the 11-inch iPad Pro. It will be priced at $69.99. InvisibleShield’s Glass+ VisionGuard screen protectors are designed to protect eyes from damaging HEV blue light emitted. The precision surface finishing process provides scratch protection and oil-resistance to prevent fingerprints from accumulating. This Zagg subsidiary today launched versions for the 11-inch iPad Pro ($64.99), the 12.9-inch iPad Pro ($74.99) and the 9.7-inch iPad ($59.99). InvisibleShield was named a CES 2019 Innovation Awards Honoree for Glass+ VisionGuard.